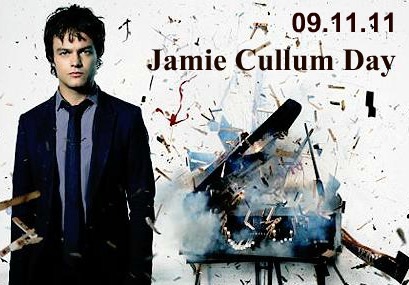 All Things Cullum: November 9th is Jamie Cullum Day! November 9th is Jamie Cullum Day! 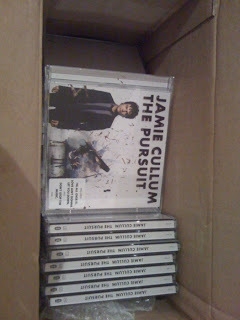 If you were around last year, you may recall I suggested that we JC fans should have a Jamie Cullum Day. 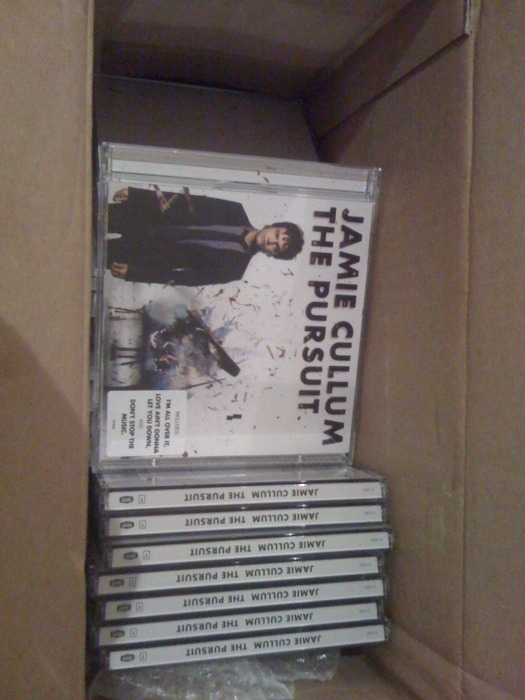 That day was November 9th and marked the day Jamie's album 'The Pursuit' was released in 2009. 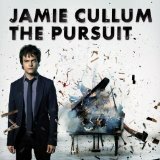 It’s hard to believe it was this day one year ago that the new album from Jamie Cullum ‘The Pursuit’ was released! It became my soundtrack for 2010, a constant in my CD player. The songs, both original and covers, are crafted so beautifully, so carefully, that they seem to have a life of their own and stay completely fresh, no matter how many times I listen to them. And I know I am not alone with that feeling. A proud moment indeed. I can only imagine what it must mean for an artist to go from the beginning of a project right to its fruition. But that really is only the start. Next comes the real hard slog of promo, live shows and interviews in order to sell your wares. The uncertainty of how it will be received must be nail-biting stuff, even for an artist of Mr Cullum’s calibre. He needn’t have any worries though. 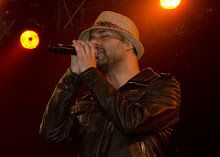 His outrageous talent, coupled with his work ethic, has meant wherever he goes in the world, the streets turn to gold. Well, he makes lots of new fans at least! It’s success he works jolly hard for. 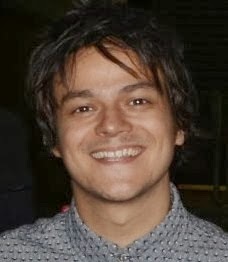 I hope it was okay to name today ‘Jamie Cullum Day’ on Twitter. It’s just for fun and an opportunity for all the fans to get together and share their passion for Jamie’s work. Maybe introducing new listeners on the way too. I hope it might become an established day for fans to enjoy for years to come. Two years on, one world tour later and 'The Pursuit' still in the Top 100 Amazon jazz bestsellers and delighting listeners round the world. Most weeks, I will see an excited tweet from someone who has only just discovered the album and loves it. The worldwide JC community on Twitter has continued to come together, along with many new Jamie fans, which is fantastic. Having a special day for Jamie is an ideal opportunity for fans to thank him for the music, reflect on the amazing success he has continued to enjoy, to connect with fans around the world, to revisit 'The Pursuit' and Jamie's back catalogue as we await his next album and generally raise awareness about this inspiring musician. 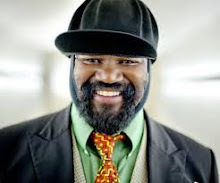 Yes, hard to believe, but there are still folk who haven't heard his music! I will be launching a new competition and some other fun stuff, so I hope that you will all join me in marking this, the second annual Jamie Cullum Day on Wednesday November 9th 2011 - mark your calendar! For those on Twitter, please use the hashtag #JamieCullumDay with all your tweets! I will listen to Jamie music. I think it will be the best way to celebrate this day. Contact your local radio station to request a Jamie song especially for the day. Global twitter hour. It has been customary to have a twitter party on occasion, so we could meet up for an hour on November 9th. Time tbc! I'll have a new JC portrait painted and I'm looking for a place which would make it as visible as possible and I'll mention it's for Jamie Cullum's Day of course! I need to find a way to have his tunes played there as well. A brilliant idea and the painting is fab! Look forward to hearing feedback!